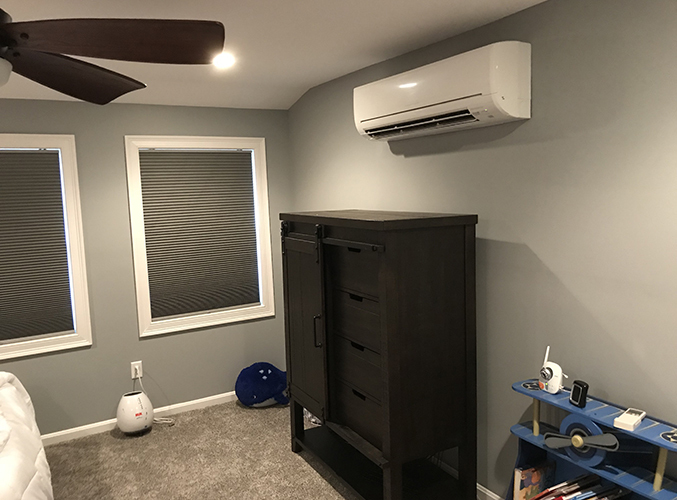 Problem: Finishing off the bonus room above a garage, but the existing HVAC system in this new home was not adequate to heat and cool the new space. Solution: Single-zone Mitsubishi Electric Hyper-Heat system provides and individual zone of comfort to efficiently heat and cool the bedroom. We see this problem over and over, and there is no better way than ductless to solve it. 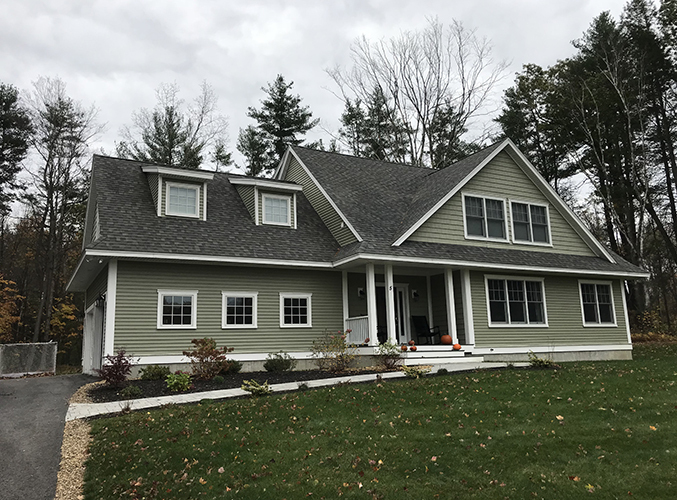 Most newly-built homes utilize gas-fired high-efficiency furnaces that are installed during the original construction process. Many of these homes have an unfinished storage space above the garage, which can easily be converted into a bedroom, guest suite, or home office. 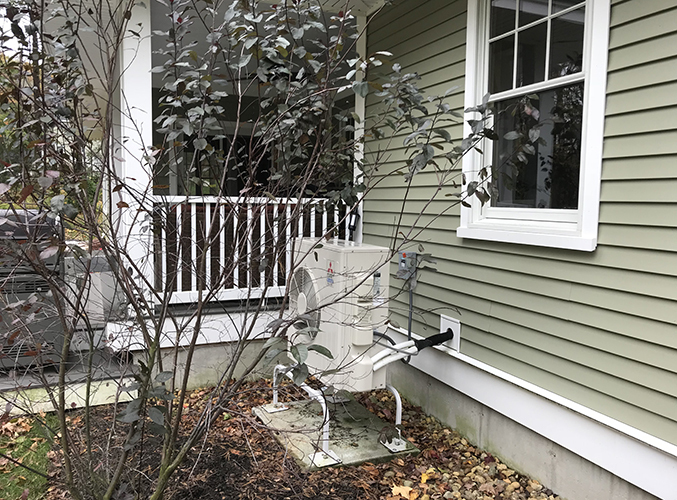 Unfortunately, most of the conventional gas fired furnaces that heat/cool the existing home are not designed and sized to take on the extra space. Additionally, it is very difficult to properly duct and control such a “small” zone on a conventional system, without damaging the equipment. For these reasons, we have found that Hyper-Heat systems provide a great solution to heat and cool these spaces, with efficient operation for all seasons, and precision temperature control of the new living area.